entoptic phenomena are experienced by all human beings. if you cover your eyes and shut out all light, for example by putting your hands over your closed eyes, you will see flashing lights and moving shapes. what you are seeing is the structure of your optic nerve. these are entoptic phenomena: a neurobiological experience. such phenomena have been hypothesised to have informed the earliest artworks. their commonness to all people causes these artworks to remain intelligible today. this music takes such phenomena as a starting point. it is slow moving, partially entering into ‘view’ and then gone again. the attempt to focus has the effect of obscuring it. 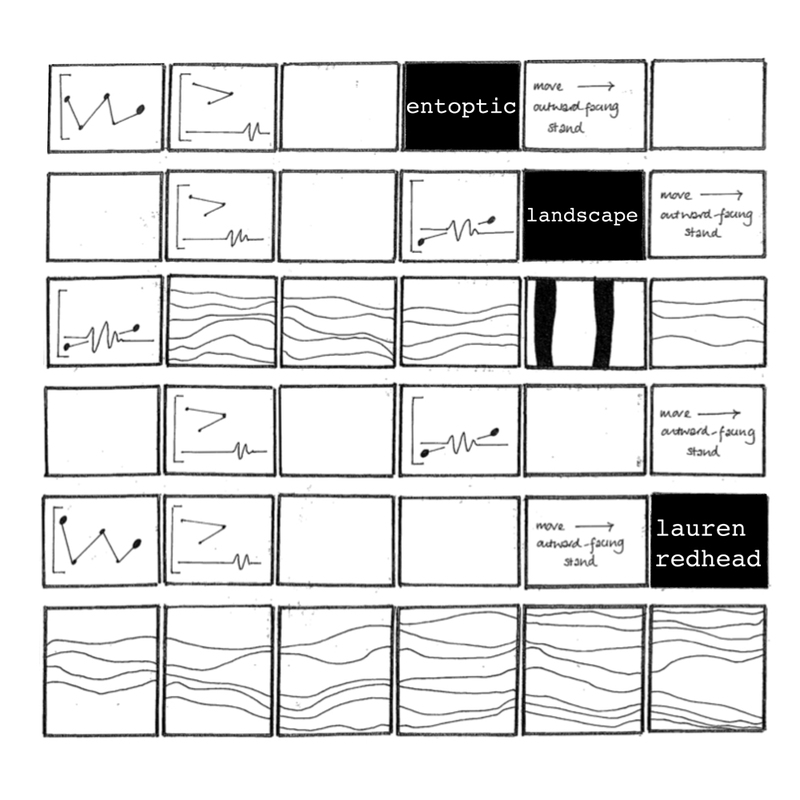 ‘entoptic landscape’, in its first and second versions, was commissioned by octopus collective in barrow in furness, for the 2013 full of noises festival and their 2014 residency at cafe OTO. much of the initial work for the piece was undertaken in january, february and march 2013 whilst i was an artist in residence at octopus collective. all of the performances of this music respond in some way to open notation. the first version of this piece presented the performers with a variety of stimuli from precisely notated pitches, to graphemes, to text, to graphic notation derived from cave art. the second version extended this approach to prefer graphic notation. the third version notated pitch more precisely in the organ part, with some openness in time. the fourth version drew from the original text included in the first score. as such, no two performances of this music are alike, but all hold much in common. open notation has been employed not for reasons of accessibility but as a means of inviting the performers into the specific soundworld of the piece.